Unmanned aerial vehicles, or otherwise known as drones have invaded the skies! Reputable drone manufacturers Xiamo, DJI, Hubsan and JJRC have made drones accessible to enthusiasts who want the latest toys. Businesses and government agencies alike are finding clever uses for this versatile machine. Shipping and Delivery. It’s a revolutionary idea that will change the face of delivery forever. Drones will soon be delivering your chinese takeout, your pizza and maybe even the latest smart phone you bought online! Weather Forecasting. Drones can be equipped with highly accurate weather devices. Sensors and high-tech cameras can be mounted in order to gather information about what the next day’s weather is going to be. Geographic Mapping. There are many places on earth that a human won’t be able to reach, including high-altitude mountaintops, dangerous coastlines, cliffs and chasms. If your work involves studying the terrain or coming up with a 3D map, a capable drone should be able to do the work for you. Filmography. Helicopter shots in films used to be the domain of high-budget projects, but not anymore. Your next movie will be given an instant facelift once you get a camera up and running in the air. With a drone, you’ll be able to do aerial shots and footage similar to that of Bond or superhero flicks! Journalism. Journalists will be able to report with added visual feed from a drone. Aerial footage will no longer be restricted to expensive flights using choppers. Live broadcasts are much more efficient and cost-effective. Agriculture. Using a crop management platform, farmers can measure, observe and respond to each individual crop’s needs. More data equals better crop performance analysis and therefore, better care. This results in improved yields, conserved resources and less waste. Infrastructure Maintenance and Management. Manually inspecting areas under bridges and top of skyscrapers will prove to be almost impossible without the help of a chopper, or in this case, a drone. 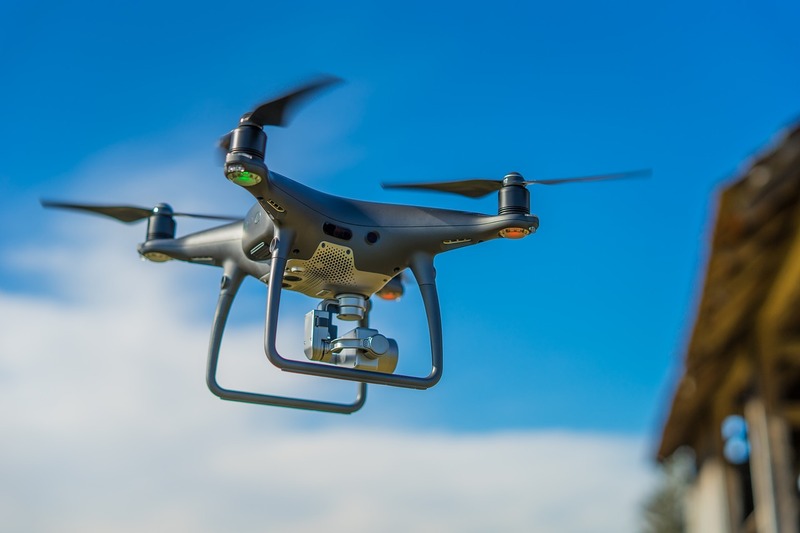 Surveying power, gas and oil pipelines, bridges, wind turbines and structures under construction via a drone will prove to be safer and less time-consuming. You won’t need a harness, crane or additional scaffolding and yet you’ll be able to assess any structure’s condition in a remote, safe manner. Law Enforcement. UAVs can be sent to track suspects, conduct tactical surveillance and search for missing persons. Moreover, drones can increase public safety via crowd and criminal monitoring, and in cases where there’s an emergency. WildlifeProtection. Scientists can deploy drones to search out potential threats to animal species. Wildlife preservers can also send up drones to study the behavior of their animal subjects, analyze patterns, track movement and spot endangered species. Saving Lives During A Disaster. Both natural and man-made calamities can happen any time. Drones are small enough to fit in close quarters to bring assistance or record video footage. Injured victims and stranded individuals can be found sooner, and videos can assess threats without risking the health of first responders and rescue teams.